ITEM: Remanufactured Cylinder Head Assembly Complete for SsangYong CONDITION :&.. ITEM: Used Complete Engine Assembly D20Q-556 for SsangYong Korando Sports CONDITION: USED .. ITEM: USED Hydraulic Module for 2012-2016 SsangYong Korando Sports CONDITION :&n.. ITEM: USED Starter Assembly for 2012-2016 SsangYong Korando Sports CONDITIO.. ITEM: USED ELECTRONIC CONTROL UNIT for 2012-2016 SsangYong Korando Sports CONDITION&n.. ITEM: USED Rear Bumper Fascia for 2012-2016 SsangYong Korando Sports CONDITION :.. 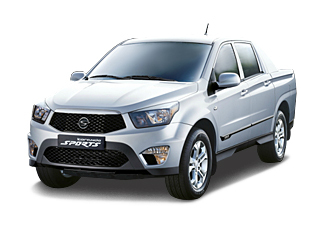 ITEM: USED Front Propeller Shaft Assembly for 2012-2016 SsangYong Korando Sports COND.. ITEM: USED Transmission Control Unit for 2012-2016 SsangYong Korando Sports CONDITION..